CORNUCOPIA, Wis. — When farmers lobbied Congress to pass the Organic Foods Production Act in 1990, their intention was to create a level playing field in the market and to affirm the credibility of organic labeling in the eyes of consumers. Unfortunately, according to a newly released report by The Cornucopia Institute, the U.S. Department of Agriculture's poor oversight of federally accredited third-party certifiers has paved the way for illegal output from "factory farms" that now dominate the $50 billion organic market basket. 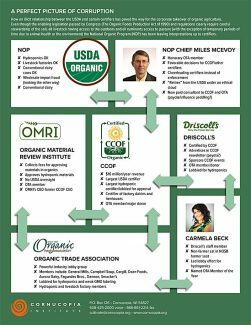 In addition to Cornucopia's investigative analysis, the nonprofit farm policy research group also released a guide rating all 45 domestic certifiers on their adherence to the "spirit and letter of the organic law" as gauged by the most prominent allegations of malfeasance currently facing the organic industry. "This might be the most provocative project we have worked on during our 15-year history," said Mark A. Kastel, a Cornucopia founder and its current executive director. "Make no mistake about it, farmers will be empowered to disrupt the revenue streams of some of the largest and most powerful certifiers in the organic industry by switching to truly ethical alternatives." 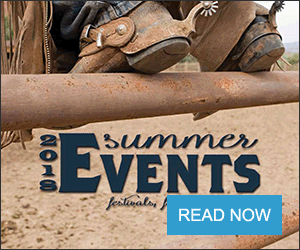 Multinational agribusinesses producing soil-less, hydroponic fruits and vegetables in the desert Southwest or importing them from Mexico, Canada and Europe, despite USDA standards that clearly call for careful soil stewardship that results in the superior flavor and nutrition of authentic, organically produced produce. "For the first time, farmers will be able to invest their hard-earned money with certifiers based on their dedication to maintaining a fair and balanced playing field in the competitive market for organic food," said Marie Burcham, a Cornucopia attorney and policy analyst who helped write the report. "Consumers will also be better able to judge whether food products meet their expectations, based on which certifier is listed on the package." Federal law requires that manufacturers and distributors of certified products that prominently display the word "organic" and/or the USDA organic seal specify on their packaging which certifier has audited their supply chain and manufacturing process. This facilitates wholesale buyers' and consumers' use of Cornucopia's certifier ratings. 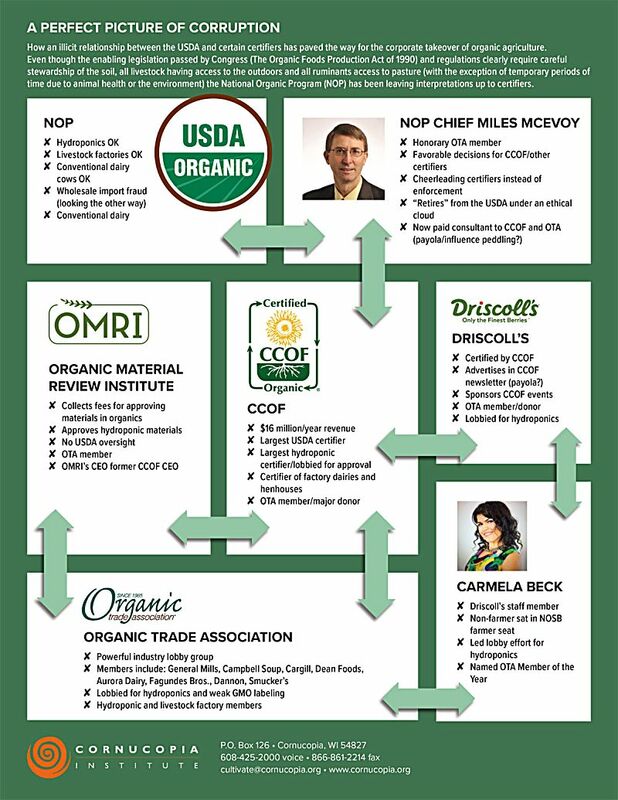 A number of the largest certifiers, many affiliated with the powerful industry lobby group the Organic Trade Association, promoted a boycott of Cornucopia's research and sent preemptive, damage-control letters to their farmer-clients. One organic farmer receiving such a letter from his private certifier, Pennsylvania Certified Organic, was Neal Laferriere of West Virginia. "Why didn't my certifier just respond to the (Cornucopia) survey? What don't they want me to know?" Laferriere asked. "Subversion tactics aren't going to work," he said. "Farmers want answers. Certifiers are the gatekeepers to organic production. We want to know who and what they're letting through the door." 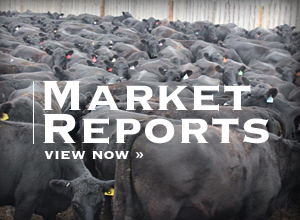 In addition to surveys signed by officers of the certifiers, The Cornucopia Institute's ratings depended on the USDA organic database, aerial photography, satellite imagery, and documents secured through the Freedom of Information Act. "You can run but you can't hide," Kastel said. "Congress intended this to be a transparent process and we aim to shed sunlight on the cozy relationship between organic scofflaws and the certifiers they are paying." Farmers, and their customers who want to invest in truly organic food, might want to do their homework. "That's not what Congress had in mind when they handed over the reins of the rapidly growing organic industry to USDA regulators," said Kastel. "But the reality is, sadly typical in Washington, the regulators have conspired with the regulated to place profits over integrity and it's time for organic stakeholders to regain control."